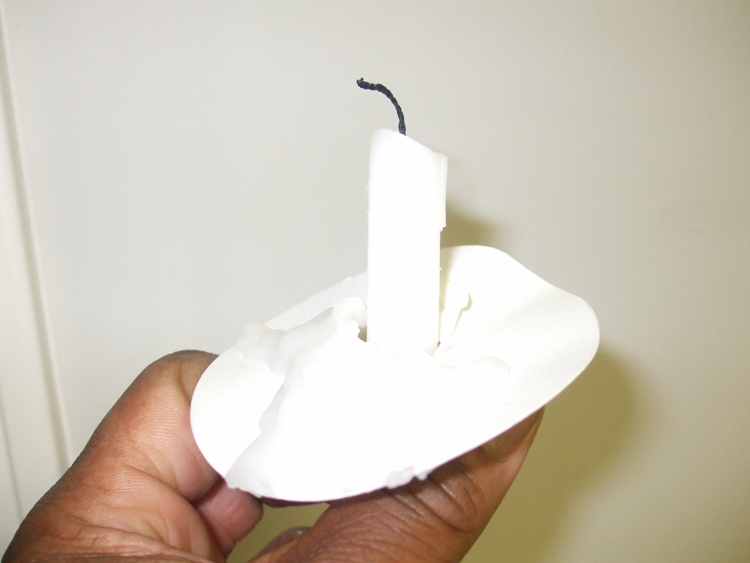 The burnt wick and the melted wax of this candle indicates its use during the Spirit of Tuscaloosa Candlelight Vigil on June 1, 2011. I saved my candle from Spirit of Tuscaloosa Candlelight Vigil. It is a most fitting symbol of the new beginning for the City of Tuscaloosa. “Our darkest hour has passed,” Tuscaloosa Mayor Walt Maddox declared on this night, five weeks since the April 27th tornado that claimed 43 lives in our community. While we gathered to remember those who perished and celebrate those first responders and brave men and women in uniform who worked tirelessly to help those who were injured, something else came from Wednesday night’s event at Tuscaloosa’s Government Plaza. The Spirit of Tuscaloosa was officially recognized. It’s that spirit that has held our community together since April 27th. It’s that same spirit that helps us to know in spite of our tears that tomorrow will mean a stronger, better, and YES greater city. “We are called upon to look at April 27 as a beginning and not an end,” Maddox said. Tuscaloosa News Photo Editor Robert Sutton composed and captured this image of the moment and message in Wednesday's vigil. As each of the elected and appointed officials from Tuscaloosa City and County, the University of Alabama and other local agencies spoke, those of us who attended Wednesday’s vigil got a sense of what it means for a community to come together in an unprecedented manner. “When it’s all said and done, we can all say we are our brother’s keeper,” said Hardy McCollum, Tuscaloosa County Probate Judge. Serving as our brother’s keeper and doing small things with great love– these don’t go well with divisiveness or division. They reflect a change, one that we all hope and pray will last forever. That change long-term is the Spirit of Tuscaloosa that was celebrated on Wednesday night. The Spirit of Tuscaloosa that is borne out of this tragedy will mean those 43 people who died from the April 27th did not do so in vain. “It’s in how we treat each other and see each other, we will remember,” Maddox said. Even though he acknowledged that our “differences make us stronger,” the Mayor has also challenged us to set aside our differences in terms of race, socioeconomic status, and politics. Earlier this week, I wrote about the differences exposed by the tornado. What we heard Wednesday night is that Spirit of Tuscaloosa will not allow those differences to keep any of the thousands who were left without homes from having a place to live. The Spirit of Tuscaloosa is reflected not just in what we’ve done, but what we WILL DO as the multi-year recovery process proceeds. When we do this and focus our attention fully on the rebuilding of our city, resurrecting those neighborhoods so they are even better and stronger than before the tornado, we are reflecting the true Spirit of Tuscaloosa.